Ben Rivers' first feature film received the CPH: DOX festival's Grand Prize in 2011 for its "compelling portrait of the euphoric feeling of being immersed in an elementary environment", and was also awarded a prize in Venice. 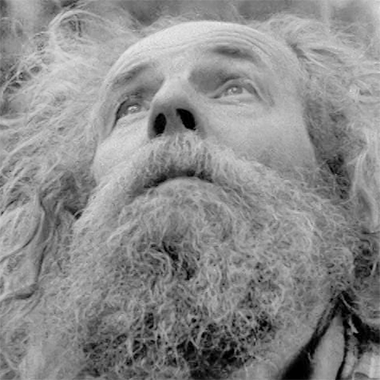 It is a fascinating portrait of a self-sufficient man living in the middle of a forest. He goes for walks in whatever the weather, and takes naps in the misty fields and woods. He builds a raft to spend time sitting in a loch. Drives a beat-up jeep to pick up wood supplies. He is seen in all seasons, surviving frugally, passing the time with strange projects, living the radical dream he had as a younger man, a dream he spent two years working at sea to realise.